After you prepare your homemade baby food, you wonder how to freeze it. Preparing your homemade baby food into little-frozen cubes needs safety steps. It is important to follow food hygiene because baby is more sensitive to have food poison. Nonetheless, you can’t avoid freezing your baby food as this can a later date. You may wonder if it has the second side effect or will trouble your baby’s health. The bacteria won’t be killed during the freezing process. You may wonder how to thaw frozen baby food and how to store frozen baby food. To help you taking care of baby’s food and to ensure the safety of this food, you should follow some steps. This article will help you to thaw homemade frozen baby food and to give some tips to store them safely. As already mentioned above, it is important to make your baby homemade food. Mind that preserving the taste and the texture of the nutrients is so important. To thaw frozen baby food,place them into your baby plate and put those in the refrigerator overnight. Secondly, you can put the frozen bags in warm water. For example, you can prepare a bowl of warm water and then you put the frozen bag. You can replace the water if it is getting cold. Once it is getting defrosted, cut the food into bowls and continue to refrigerate. How to thaw frozen baby food using microwave method? 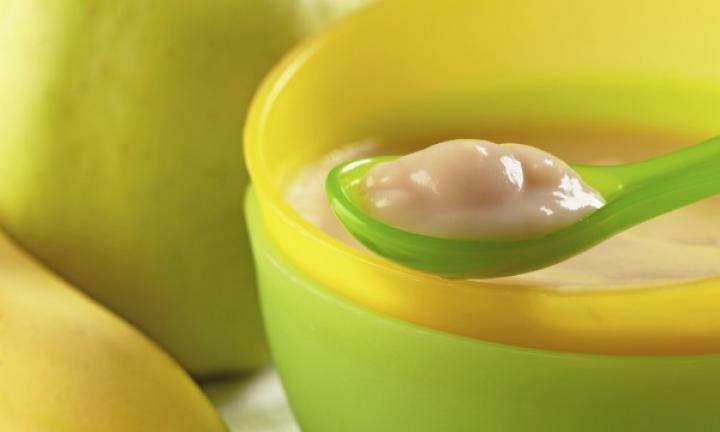 Here are another methods that will help to thaw frozen homemade baby food. All parents should consider the importance of their babies’ health. You can defrost the food by using the microwave method. The first step that you should follow is to place your frozen food into a microwave dish. Note that the dish must have been cleaned.Then, you cook it by using the defrost setting on the microwave. Don’t stop to rotate the puree till it is becoming totally smooth. Once you see that it is ready, serve it to your baby. Thaw Frozen Food in the Microwave. The food container must be safe and should be used in the microwave. Avoid plastic containers as they can produce harmful chemicals in the baby food. There are some plastics that can resist to the microwave. You should always check if this plastic has any direct contact with the food. Avoid also using the aluminum container in the microwave. Apart from these, make sure that your microwave temperature is lower than 165 degree Fahrenheits. Don’t forget to observe the baby food in the microwave for precaution. How long to freeze baby food? There are some steps that you should follow when you want store frozen baby food. Before following these steps, you should know the baby food storage. It is important to know the duration of baby food in the freezer and refrigerator. The fruits and vegetables must be only forty-eight hours in the refrigerator. However, the meats either white, red should be only twenty-four hours in the refrigerator. Besides, frozen baby food is between three and six months. Nonetheless, it is better if you freeze your baby food between one and three months. To keep the nutriment’s quality, you ought to freeze three months maximum. However, when you put baby food in cubes in the freezer it is safe to remain it between three and six months. Frozen baby food needs real surveillance. A new mother may wonder why must use ice cubes when she wants to store her baby’s food. By using this cube, you can estimate your baby’s amount of food. How many cubes your baby should consume per day. So, using ice cube will facilitate your task. Additionally, it is a good idea if you use freezer bags. It will ensure the date storage and the food’s type. Besides, you will know the duration of the food that has been frozen. Thus, you don’t need to guess what type of food is it. In fact, it will facilitate your daily life. When your food is complete you must freeze it to avoid bacterial contamination. Lastly, using ice cube method allows you to store your homemade baby food. Thus, you don’t need to spend time preparing your baby food. You just take your frozen baby food and thaw it. Instead of preparing food, you can spend your time playing with your baby. Parents have to prepare homemade food for their babies as they are tasty and safe. There are various safe ways to store your homemade baby food. Here are some best tips that you should know to store your baby food. First of all, you must store it in the most safety place. Use ice cube and put them in the refrigerator or use wax papered cookie sheets when you freeze it. By using the ice method, pour your food in a regular ice cube. You can use a spoon. Once it is finished, you can cover it with plastic wrap. 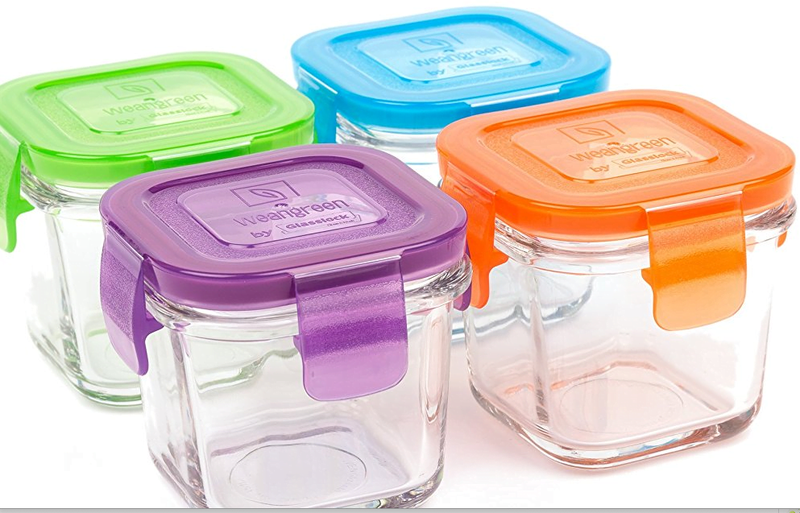 Moreover, you can use glass baby food jar to store your homemade baby food. 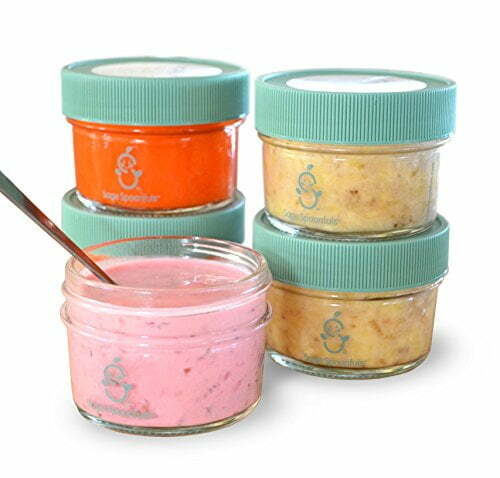 Many people freeze their baby food in glass baby food jar. Although some of us think that using it is harmful to the baby’s health. Mind that today, there are glass jars on the market which are specified to freeze food. They are manufactured for freezing food. Hence when you would like to store your homemade baby food, check if it is good for freezing or not. We can’t deny preparing homemade food for our baby needs, care, and safety. Once the preparation is finished, it is compulsory to store this food in a safe way thaw them properly.Taking care baby is a big responsibility and a pride as well. So, you have to make high importance.